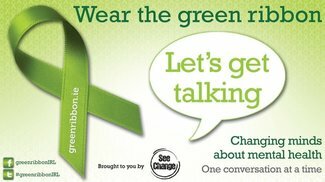 The Green Ribbon campaign, now in its 5th year, is currently running throughout Ireland for the month of May with the aim of getting the public to openly discuss mental health problems in Ireland. With this in mind, the Dublin Simon Community look into how they make a difference to the lives of many people experiencing homelessness throughout Dublin, Kildare, Wicklow and Meath. The therapeutic team at Dublin Simon Community’s Sure Steps Counselling Service has brought Sure Steps a long way since it’s inception in 2012, constantly striving for change and providing emotional & psychological support to clients in the areas of addiction, self harm and general mental wellbeing. With scientific tools such as the wellness tracking tool, Clinical Outcomes Routine Evaluation (CORE), being piloted now, the push for mental awareness is constantly being heightened at Dublin Simon Community. Currently Sure Steps are proud to be rolling out a therapeutic tool (CAMS-care) which tracks suicide using a person-centered approach. Having successfully rolled out a wonderful self care tool that anyone can harness with the launch of Wellness Recovery Action Plan (WRAP) Level I to both staff and clients, they will soon host WRAP ll. 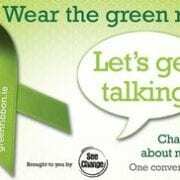 More than 500,000 green ribbons have been distributed nationwide free of charge to spark a national conversation about mental health and here’s how you can help. Let’s keep working together – keep the creativity going and importantly – let’s keep talking about Mental Health!